One of the weak spots of the M Coupes and Roadsters (as well as some M3s) is undoubtedly their auto dimming rear view mirrors. No one knows the exact cause of the issue as it can occur at any age or mileage of vehicle, but most problems seem to occur following long term sun exposure. 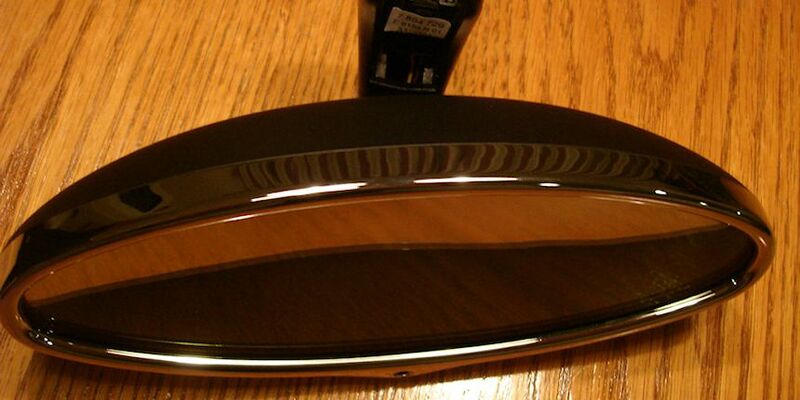 The dimming fluid within the mirror can start to bubble giving you a two-tone rearview mirror that is always halfway dim. This is the state I found my mirror in when my coupe arrived. It was not that way when it left the dealer, but I have no doubt sitting on the back of an open truck for 3.5 weeks after having been sheltered the rest of it’s life was the cause of the problem. Once the mirror is removed and you can turn it, it’s almost lava lamp-ish :). Just for fun I took a little video showing the interesting phenomenon. While entertaining, it’s not very practical. Looking into the problem more, I came across a handful of stories of people detailing how the dimming fluid actually leaked from their mirror days after the issue first occurred, splashed on their dash, and stained it. Feeling fortunate that it had not yet happened to me but fearing the worse, I started wrapping my mirror with a gallon-size Ziploc bag whenever it was parked. It was not the impressive look I was hoping to present with my M Coupe :). Out of curiosity, I asked the dealer what a new one would cost and was not surprised at the astronomical reply of $599. I then started keeping my eye out on Craigslist and Ebay. I saw a couple listed but always for $250+. 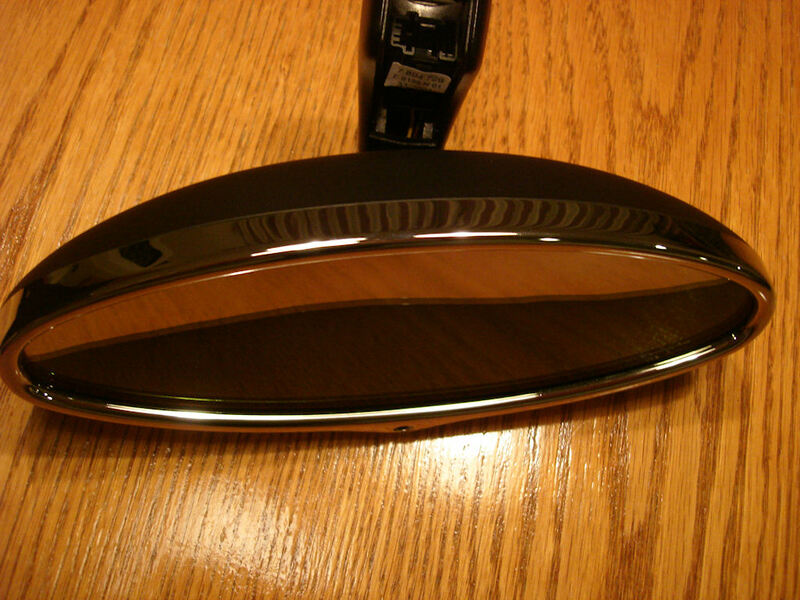 They were also the more common black rimmed mirrors rather than the chrome rimmed one found only on the 2001 and 2002 S54 models. With either of those options, the same issue could always occur again someday. What I need was a fix. Some had suggested just prying open the mirror and draining the fluid. This would solve the issue, but I would lose the auto dimming functionality I was not willing to give up. She said she would call back once they received it for a payment of $95 (which includes return shipping). As this was hundreds of dollars cheaper than I had ever seen a nice used one priced for, this sounded pretty good to me. In the past Sybesma’s had a stock of mirrors they could ship right out and would then require you to send your broken one back in. They no longer offer this service, so it now requires a few days down time of your car. As it was the middle of winter here in Colorado, this was no big deal to me. I also was more than happy to keep my original mirror as I’m just like that. Aim the mirror down and away from you to give you greater access to the neck of the mirror. 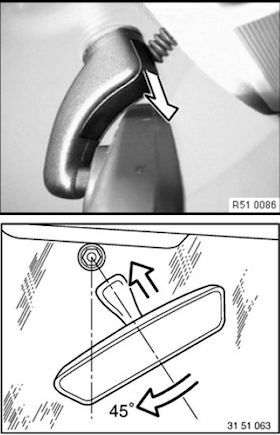 Pop off the little plastic cover on the neck of the mirror by pushing the front side of it downward with your thumb. Once the mirror has been rotated it will slide right off into your hand. A few days was quite literally all it took them. I shipped my broken mirror via USPS First Class on Saturday afternoon, she called for payment on Monday, and it was back on my door step, as good as new Wednesday morning. I was very impressed by the entire process, the fantastic results, and the amazing speed. Re-installation went very smoothly simply following the steps above in reverse. I now have my original mirror, still auto-dimming, looking as good as new, with no fear of further problems down the line. Now that is $95 well spent.